The Tennesean By Michael Cass • THE TENNESSEAN • November 12, 2009 Metro would have a $585 million budget to build the proposed downtown convention center, including $415 million for construction itself and $170 million for related costs, officials said today. The project, which was expected to cost $635 million until recently, would create 1,000 to 1,200 construction jobs at its peak and about 3,000 over the life of construction, project leaders told the city's convention center authority. 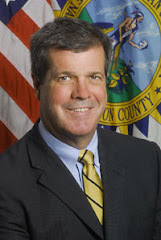 Mayor Karl Dean is expected to present a financing plan for the convention center to the Metro Council in the coming weeks. The price could come down further if an ongoing review of revenue projections shows the tourist-targeting revenues wouldn't be as strong as city officials have been planning for.